Ruby is a Sophomore at La Joya Community High School in Avondale, Arizona. 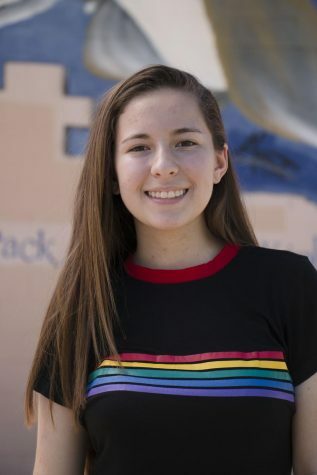 After moving to Arizona from California and starting high school, she has been unsure about her career choice in the digital world, but she continues to be inspired in her digital communications class to continue in her journey of video creativity. She has worked her way up from her intro to digital media class to her digital communication class and participating in the Skills USA competition as a freshman and making it to state. She actively participates in the school’s production of their daily announcements and enjoys being able to take part in helping out in the filming process of it. Her abilities include filming and editing, but wishes to improve both of those skills throughout the year. In the future she wants to be able to open a company where she continues her career in video production.